The wise and noble Shadowfax here. 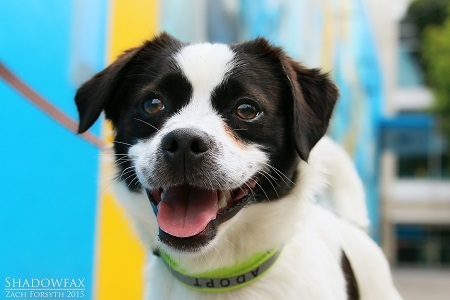 I am a 3 year old Spaniel mix who is wise beyond my years. With my sage advice and loving adoration you’ll be able to face any challenges life throws at you (whether it is changing jobs or battling a field of orcs). But don’t think my wisdom makes me stuffy! I love my toys and will play fetch with you for hours! I am great with other dogs, decent with kitties, and best in a home with older children. You will never regret teaming up with me! Want to meet? Fill out the adoption application so we can schedule it. I am fixed, vaccinated, and microchipped. My adoption fee is $250.